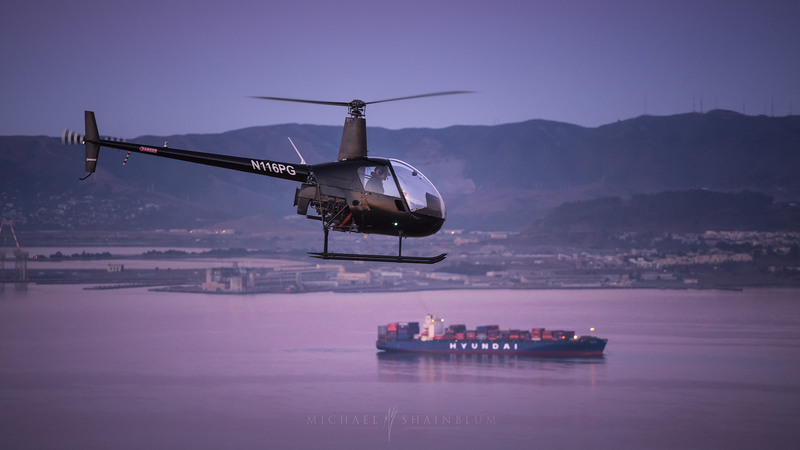 Flying in a helicopter is such a unique experience. It really gives a new perspective to familiar places. 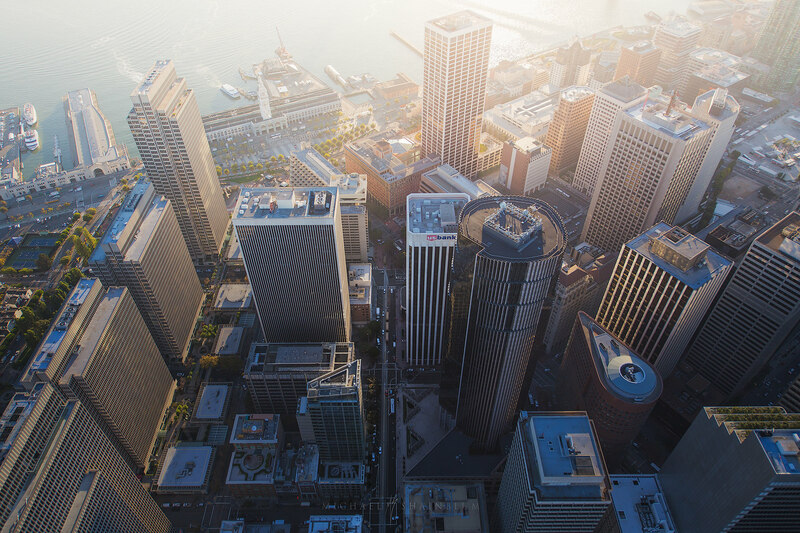 San Francisco is already such a photogenic place from the ground that being up in the sky just adds another layer of excitement to one of my favorite cities to shoot. 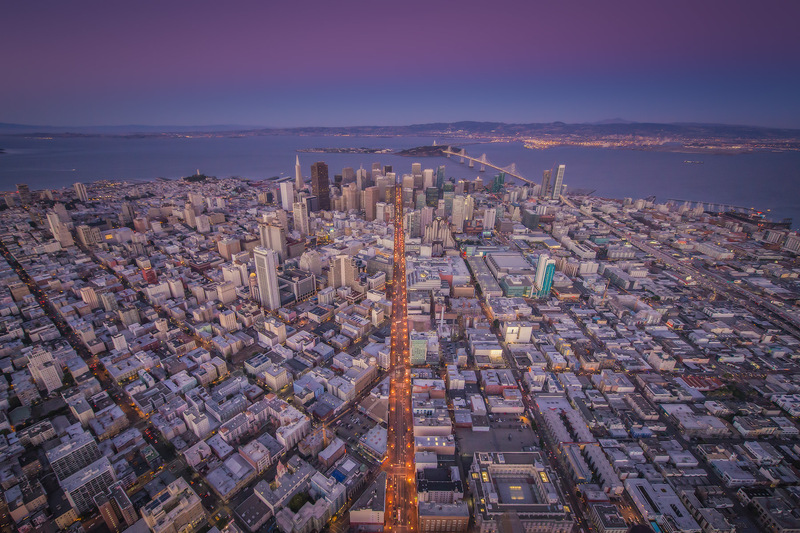 Here is my aerial collection of San Francisco photography from 2014 to 2017. 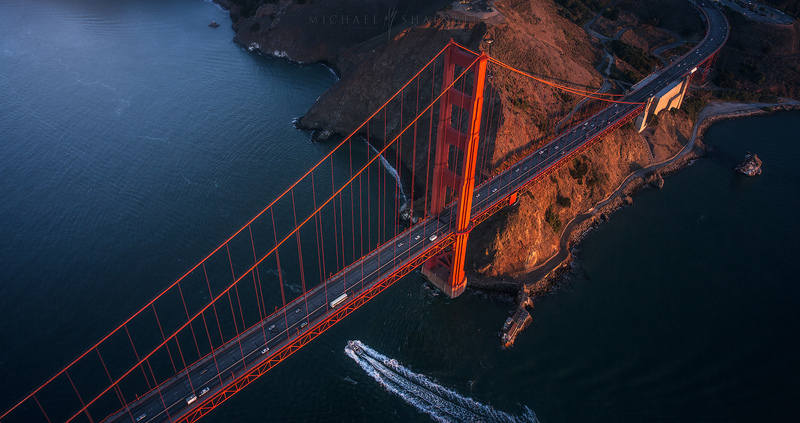 Golden Gate Bridge Aerial Photography, San Francisco. 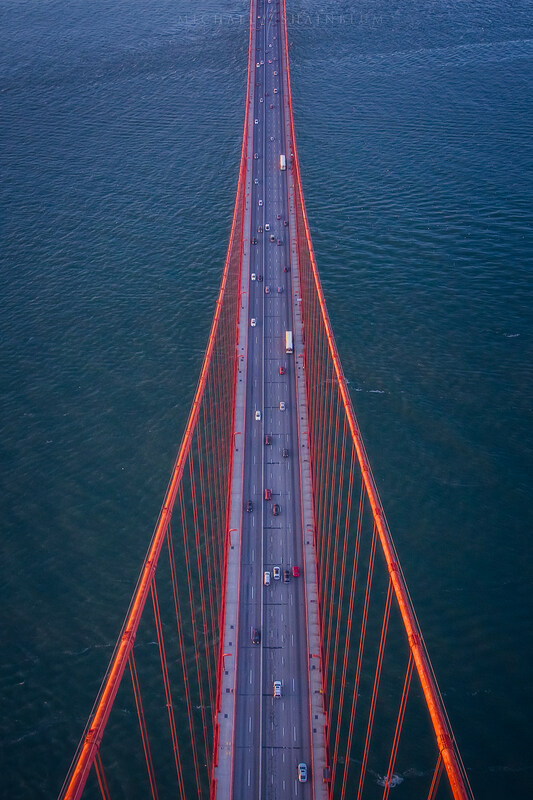 Golden Gate Bridge, San Francisco Aerial Photography. 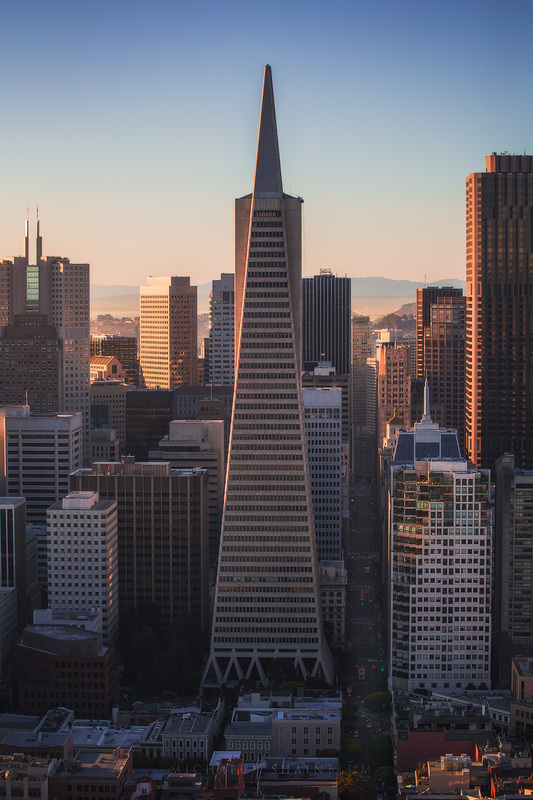 The Transamerica Pyramid and the Golden Gate Bridge are two of San Francisco’s most iconic structures. Photographing them from an aerial perspective is an absolute blast. 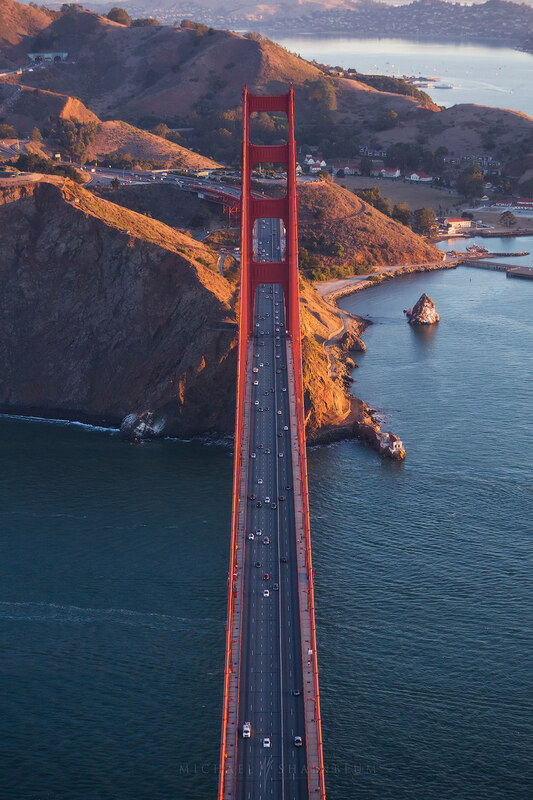 San Francisco aerial photography, Golden Gate Bridge. 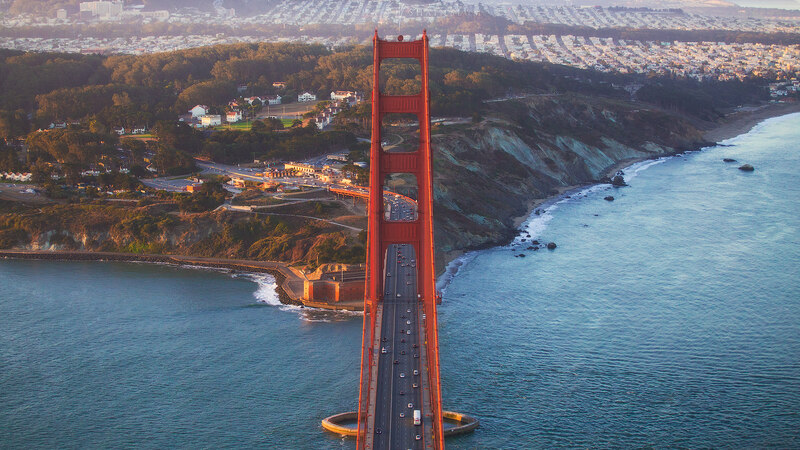 High above the Golden Gate Bridge at sunrise, with a small boat crossing from the Bay into the Ocean. 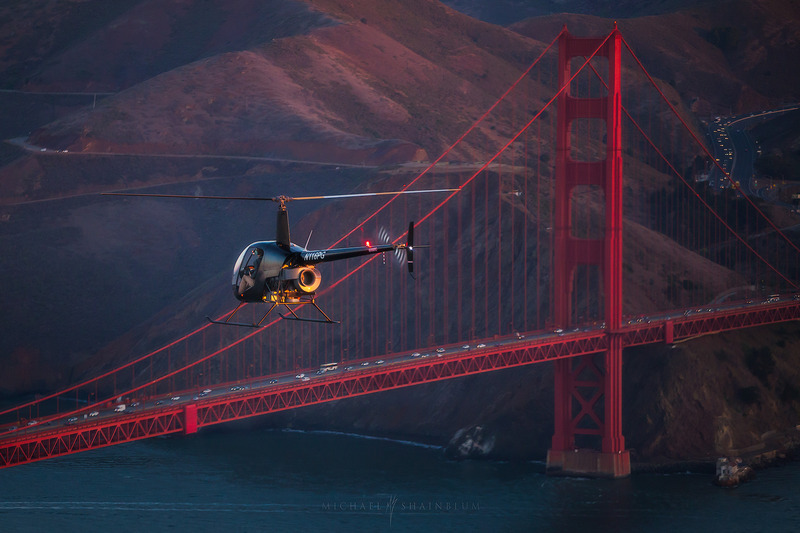 San Francisco Aerial Photography, over birds and waves. 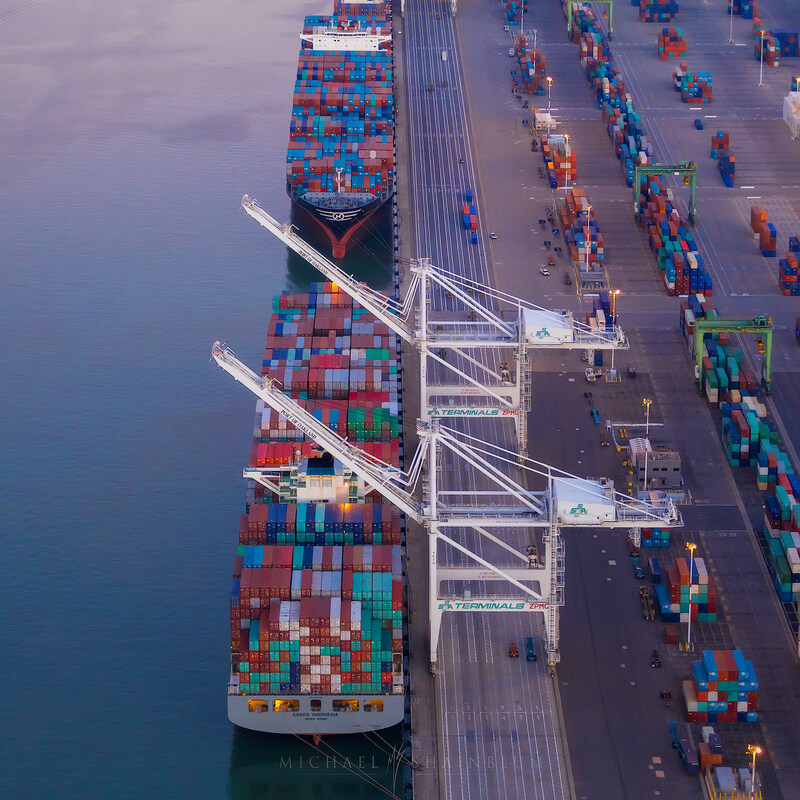 This is one of my favorite images, not only from my aerial portfolio but also from my San Francisco photography portfolio in general. This image was taken during sunrise above Ocean Beach. 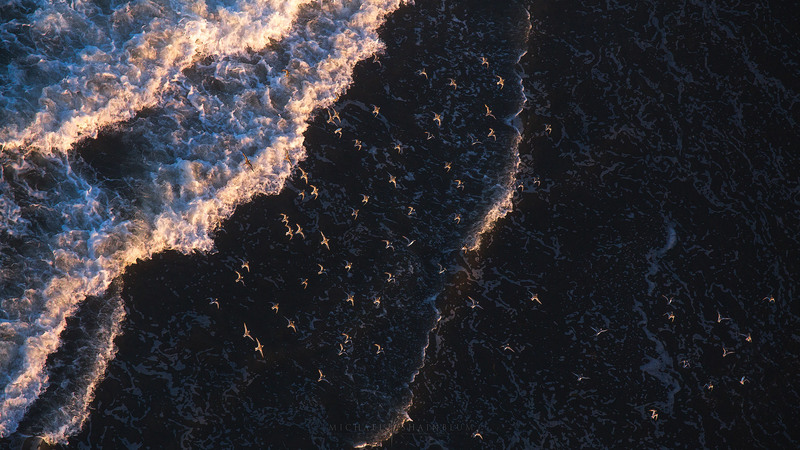 As we glided full speed across the coastline, I noticed a flock of birds flying under us. 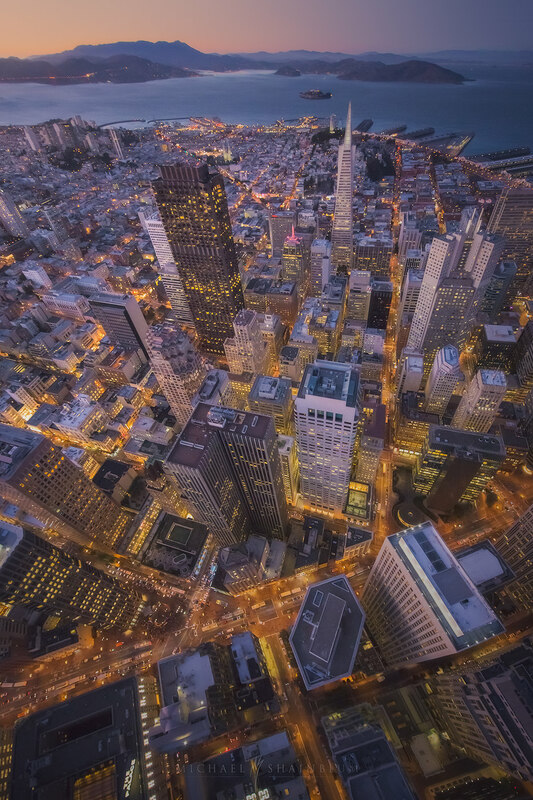 California aerial photography over downtown San Francisco. I love looking down at the city lights. Being on the city street surrounded by crowds of people and honking traffic can seem a bit chaotic and overwhelming. Seeing it from a helicopter feels relaxing and hypnotic. 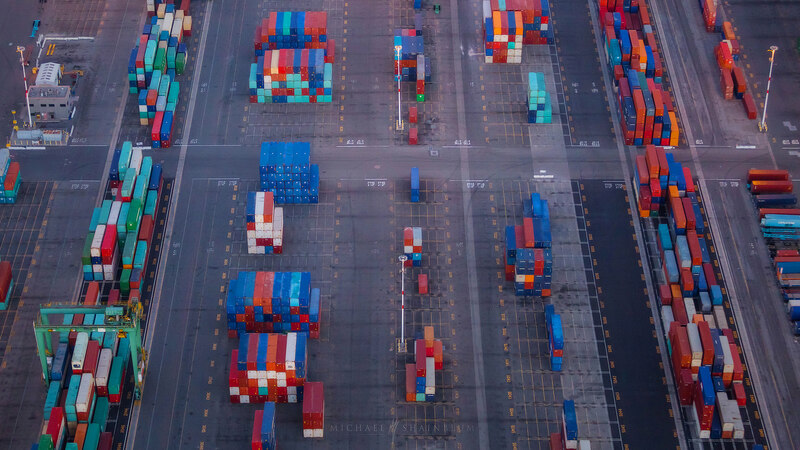 However, aerial photography isn’t just for dramatic wide angle landscapes and cityscapes. I love taking out a telephoto lens and getting creative with abstract images. 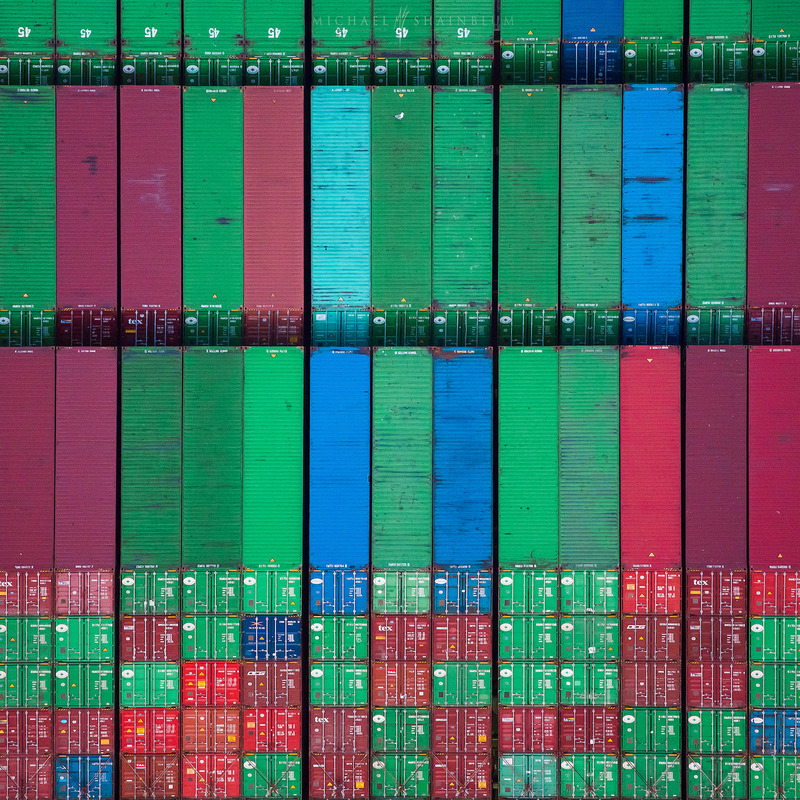 These shipping yards with early morning light made for some really nice aerial images. 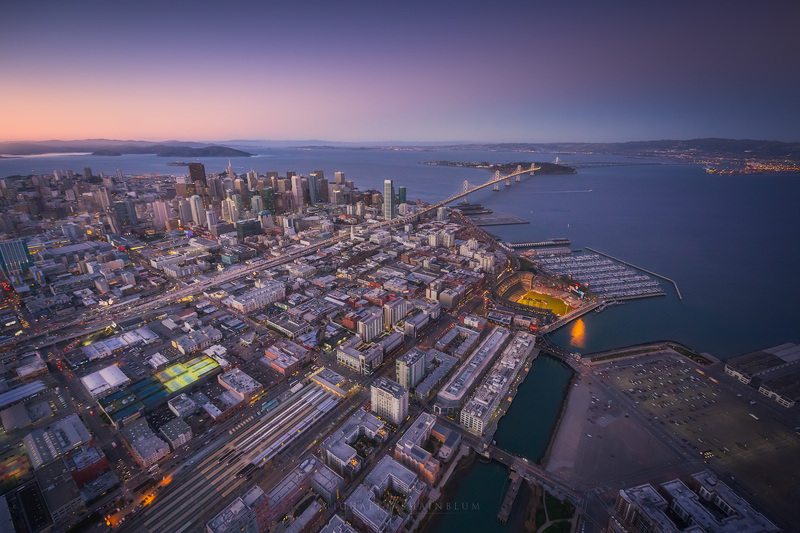 Aerial photography over downtown San Francisco. There is something magical about early morning light in the city. The way the sunbeams reflect off glass windows and spill through the city streets is really mesmerizing. 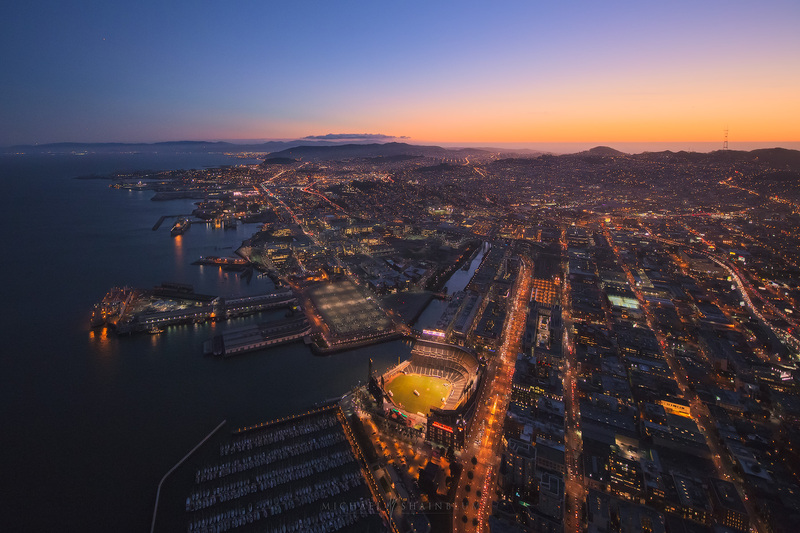 This is definitely one of my favorite aerial images over San Francisco. I love having the Bay Bridge and Mount Diablo all in one frame. 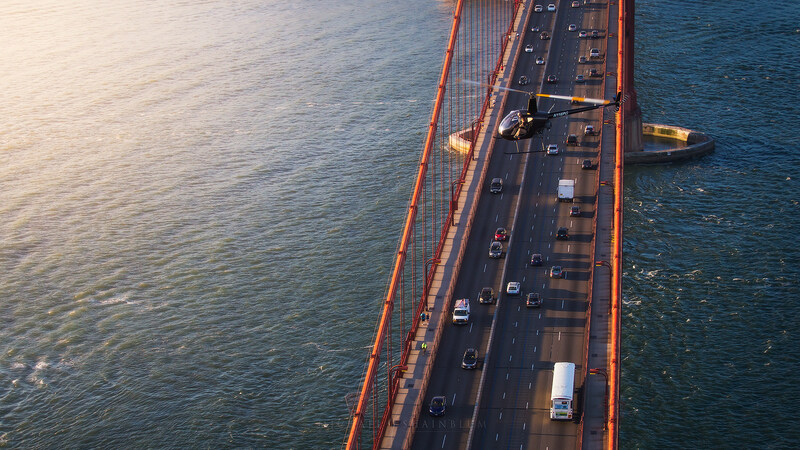 Aerial Photography over the Golden Gate Bridge in San Francisco. 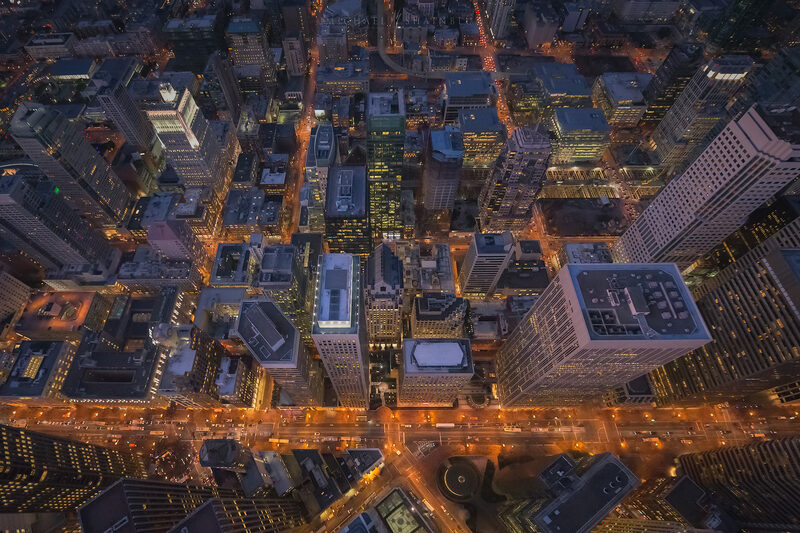 Looking straight down Market Street during nightfall. 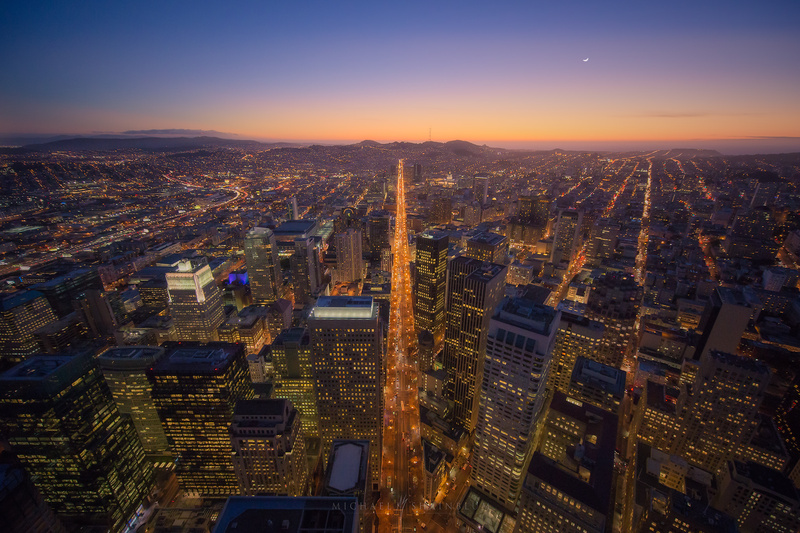 In the heart of Downtown San Francisco, looking down Market street after sunset. Here are two “top down” birds eye view images. The first is of the De Young Museum in Golden Gate Park. 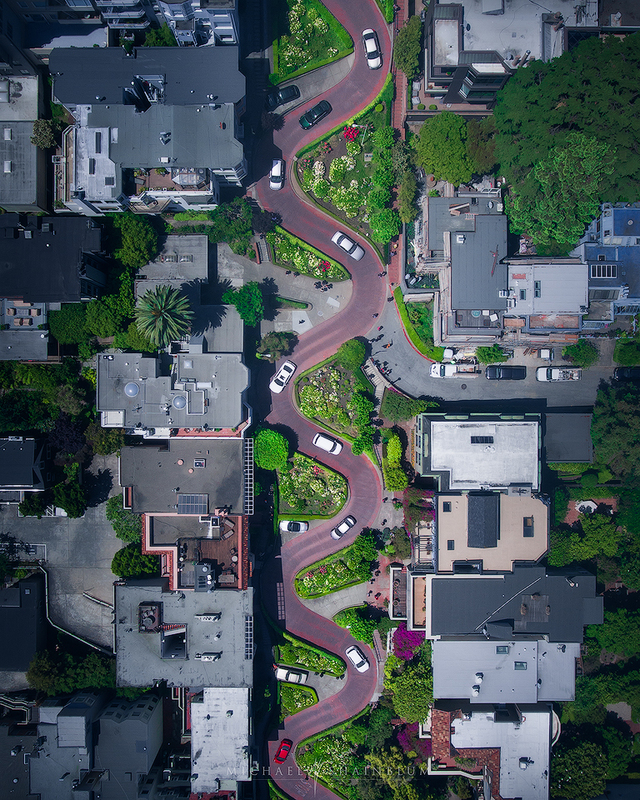 The second was taken over Lombard Street. 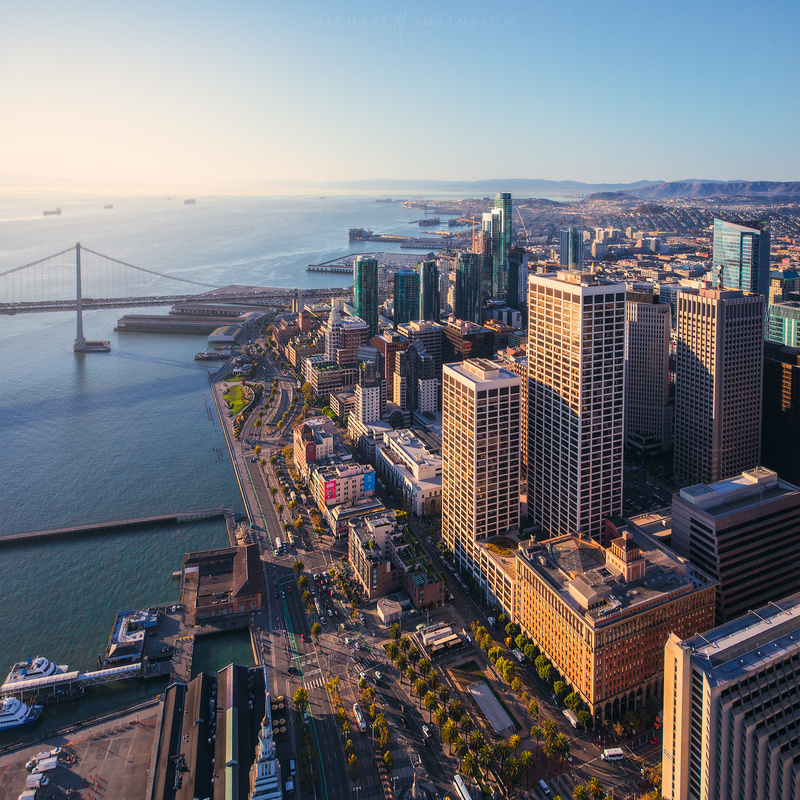 San Francisco, California aerial photography. 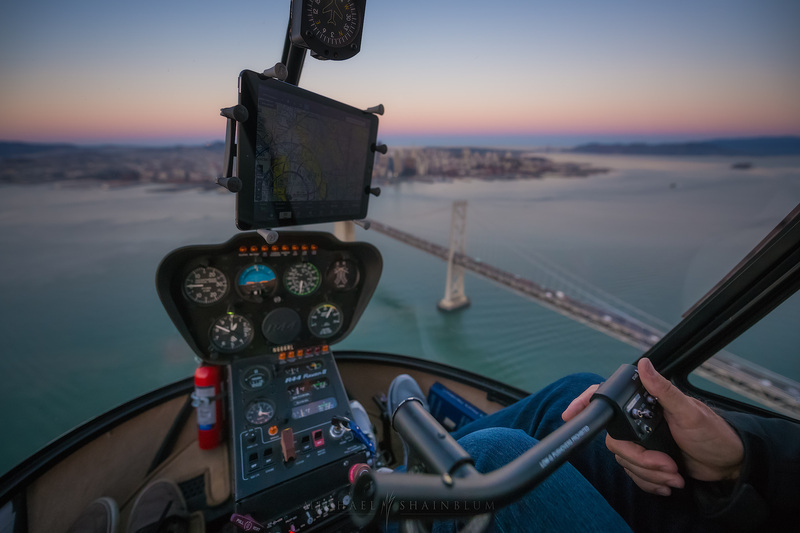 This is a behind-the-scenes shot taken from within the helicopter cockpit, right before we flew over the Bay Bridge. 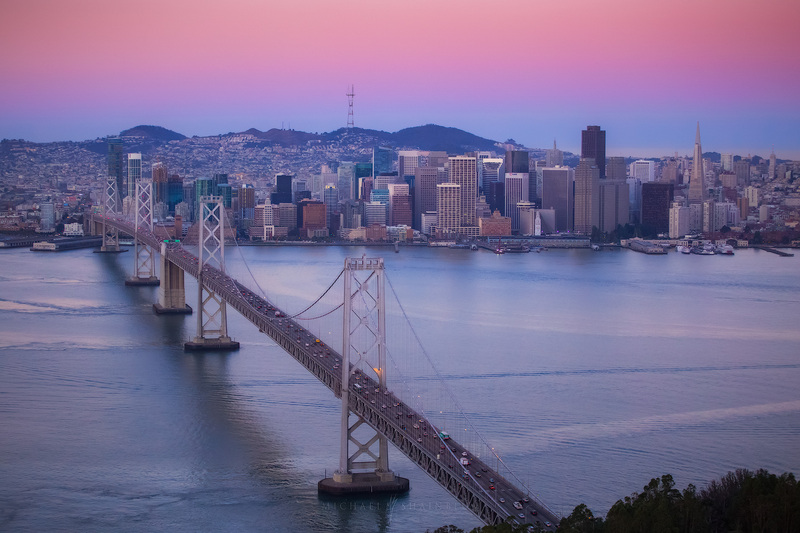 I really hope you enjoyed my San Francisco photography collection. 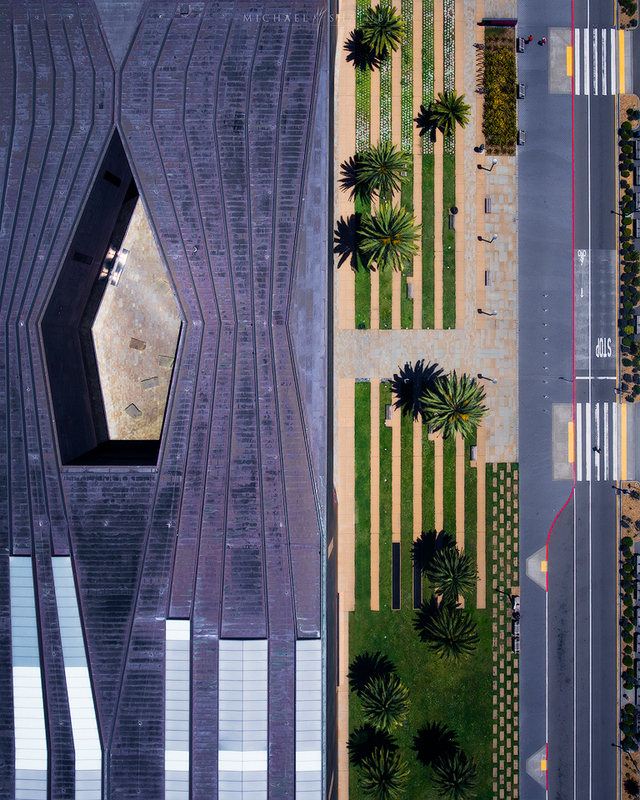 If you would like to see more California aerial photography, check out my Los Angeles aerial collection HERE. 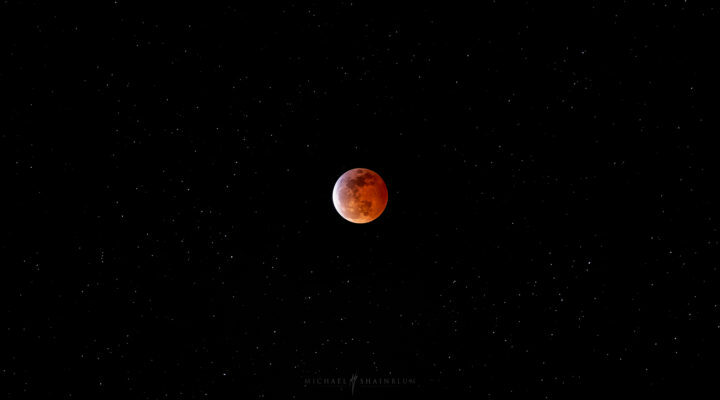 Big fan of your photography!! 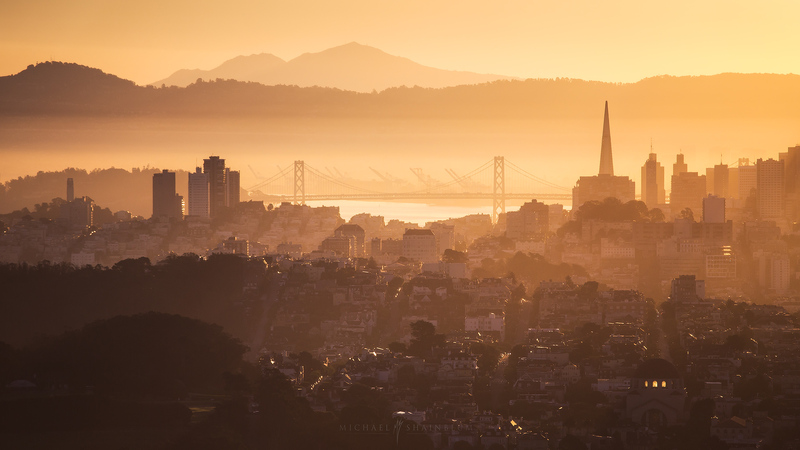 Love these SF shots. how do you bracket exposure from helo cuz it is constanly moving. do you take single shot? if yes how do you recover the highlights from single shot? Wonderful – The City is magical. I really love your work and I look forward learning more from your website. More power!